Foróige have been a very important organisation in our community for our young people and they continue this year to make use of our gym for their meetings. 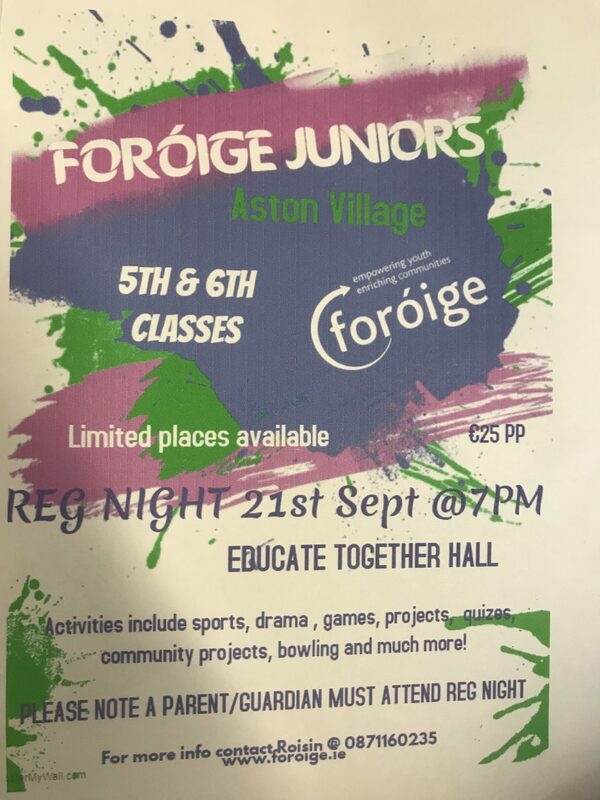 On Friday of this week they are holding their registration evening for new members from 5th and 6th classes. Parents/Guardians MUST be in attendance for the registration of interested children.